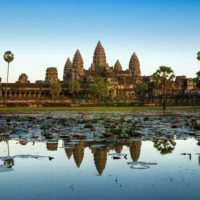 As you’ve probably guessed, I’ve quite a soft spot for a festive Christmas – it doesn’t matter if it’s a tropical Christmas in Bali, a snowy New York Christmas or a gorgeous Christmas in the UK, as long as there is lashings of mulled wine, binge-worthy TV and lots of family time I’m a happy bunny! 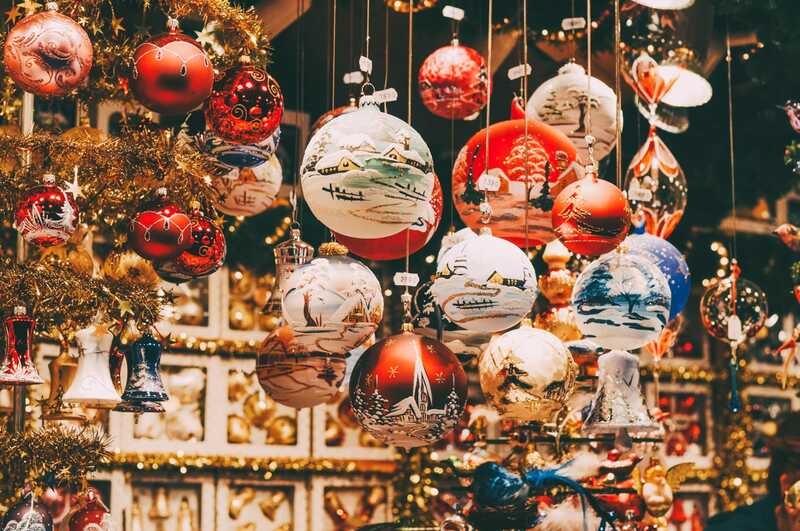 That being said, there’s a whole heap of Christmas markets in 2019 that you should definitely explore. As the festive season quickly approaches, those lovely Christmas markets in 2019 will begin to open *insert 39485959 happy emojis*. 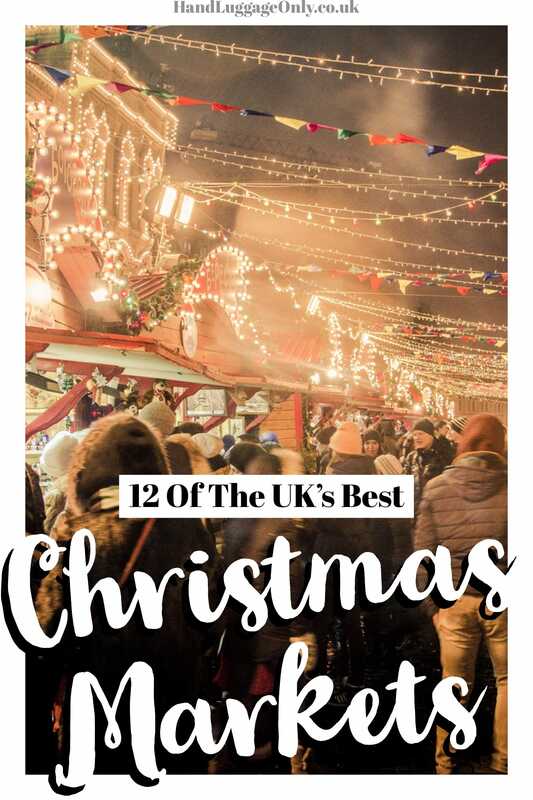 With that in mind, take a gander at some of the UK’s best Christmas Markets in 2019 You should visit. Oh, and don’t forget to check out our post on the best European Christmas markets too. 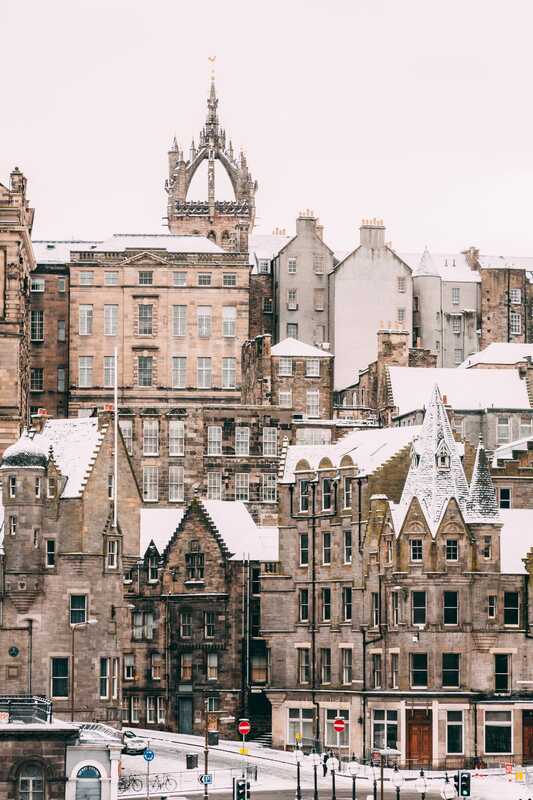 Edinburgh is one of my favourite cities in the UK (and yes, I’m biased after living in the city for a few years). One of the things I loved most about the city is the atmosphere that consumes the city over Christmas and Hogmanay. 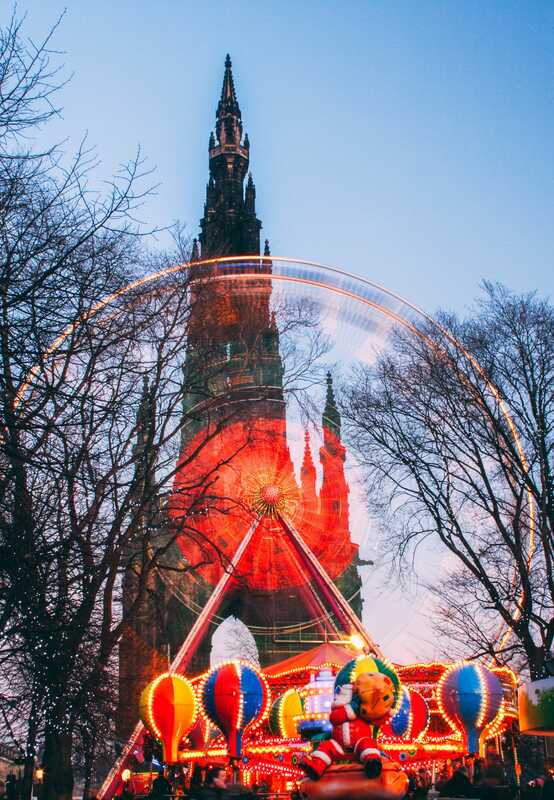 Edinburgh has two amazing Christmas markets in 2019, one is just off Princes Street and the other, a few minutes walk to George Street. Both are really great fun and a perfect place to sip on some mulled wine and hot cider before heading into some of the city’s best bars. Princess Street opens (with all the fanfare of rides, carousel and ice rink) around the 18th November until the 6th January whilst George Street market opens approximately on the 17th November until the 24th December. The buzzing vibe of Manchester is only amplified during the Christmas period. Don’t expect the city to slow down, in fact, expect the opposite happens here. 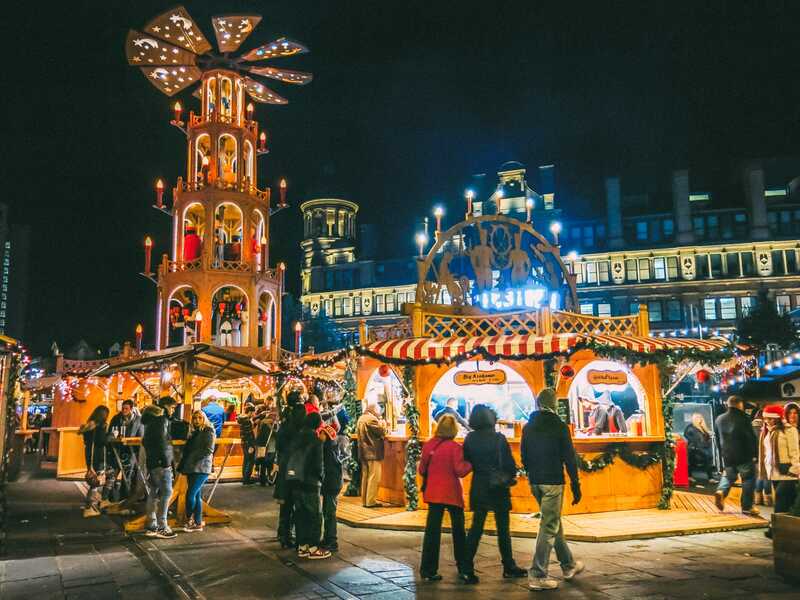 Manchester has a whole heap of Christmas Markets in 2019 that are dotted around the city. Albert Square Market is usually one of the biggest markets, with St Ann’s Square having a German flare. 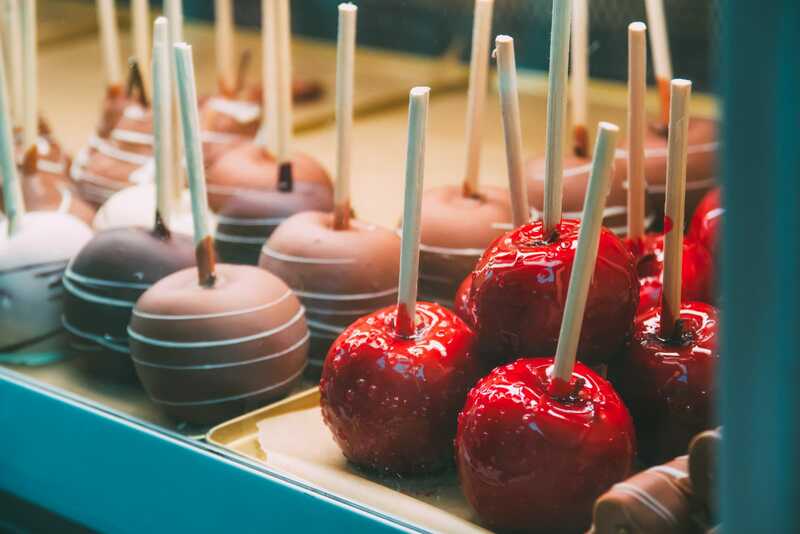 If you’re looking for a French market, you’ll probably want to head to King Street Market or some of the other markets on New Cathedral Street, Market Street, Cathedral Gardens, The Corn Exchange, Exchange Square, Brazennose Street and Exchange Street. 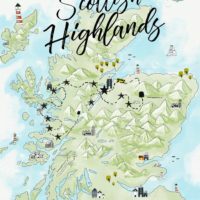 With soooooo many to visit, it’s probably best to plan ahead! See the map of some of the best Manchester Markets around the city which open on the 11th November. 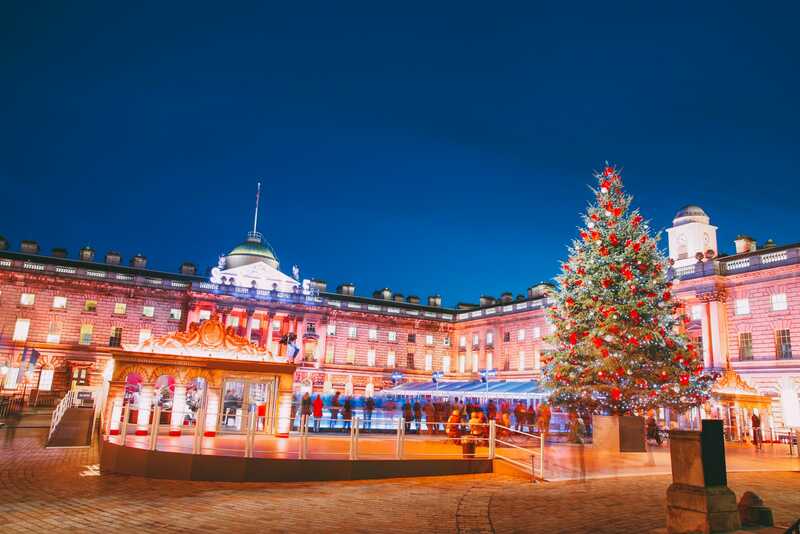 Okay, so London is brimming with so many Christmas Markets in 2019, some intimate and small, whilst others are a colossal market filled with thousands of people. 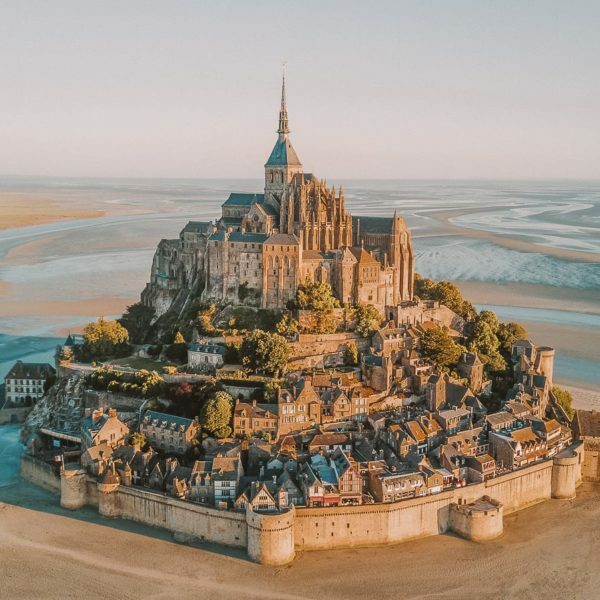 With so many to choose from, it can be hard to decide which place to visit. If you like the hustle and bustle, fairground and plenty of entertainment, head over to the Winter Wonderland (opens around 17th November until 1st January). Without sounding like a Bah Humbug, it’s personally not my favourite due to how busy it gets (plus it can be pretty expensive if you’re staying for a good few hours). 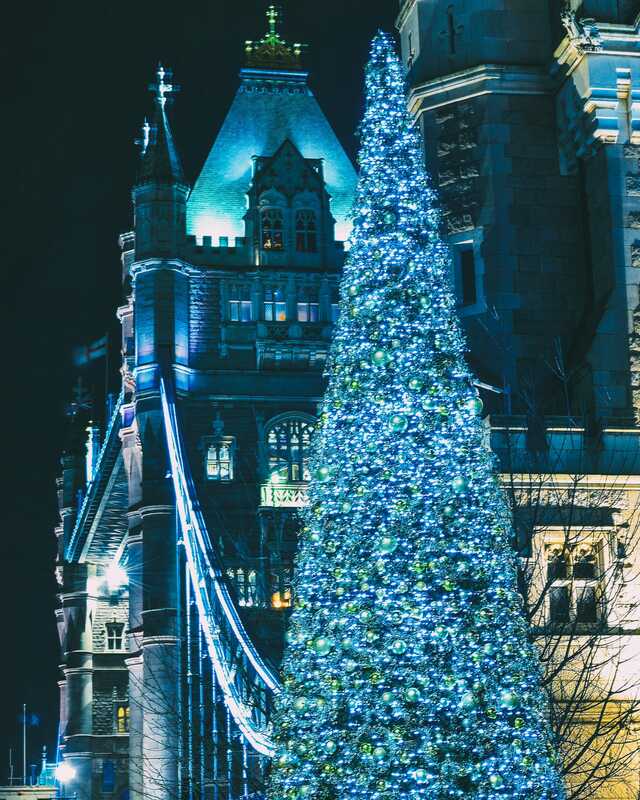 For a slightly quieter affair (though expect plenty of people), head over to the more intimate Christmas Market in between London Bridge and Tower Bridge (on the south side of the Thames). There are around 60 stalls here and it’s a great place to enjoy a mulled wine with views over to the City of London. If you’re looking for a market further south, head to Kingston-Upon-Thames, where they have their own alpine village and snow-covered trees. Still, one of my favourite past times since moving to London has to be strolling the Thames from the London Eye towards Tower Bridge. 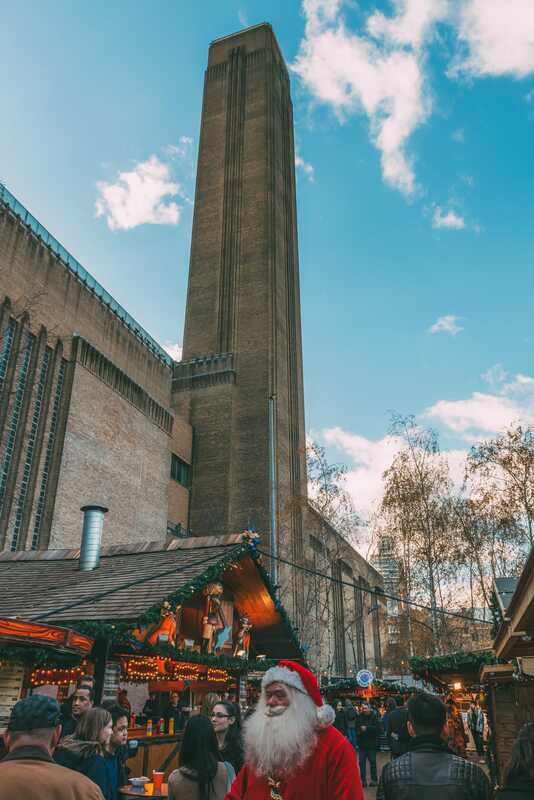 Here you’ll stumble upon Southbank Christmas Market in 2019 (opening approximately from the 10th November) before making your way to London Bridge Market (opens around the 30th November). 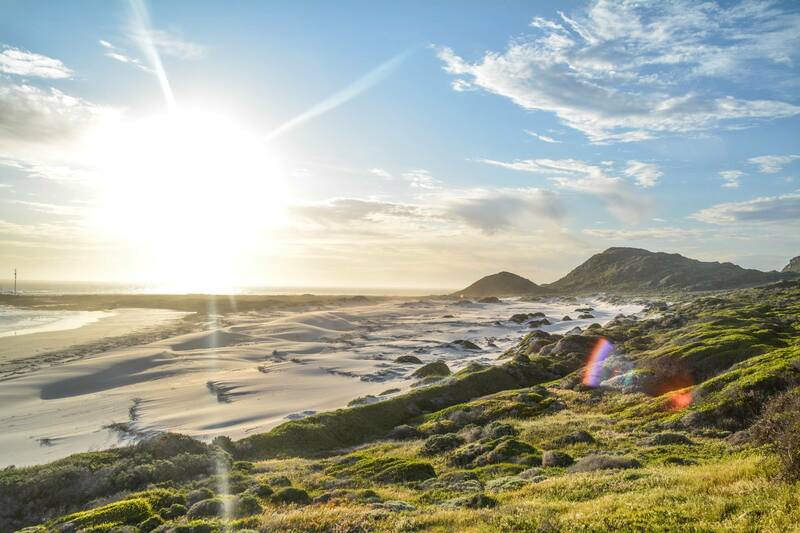 It’s the perfect walk on a crisp winter evening. 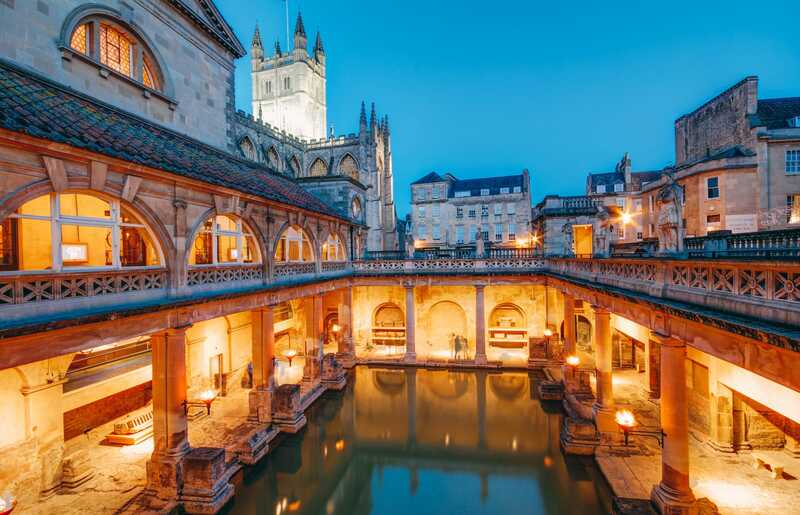 The historic, Roman city of Bath feels even more special at Christmas. 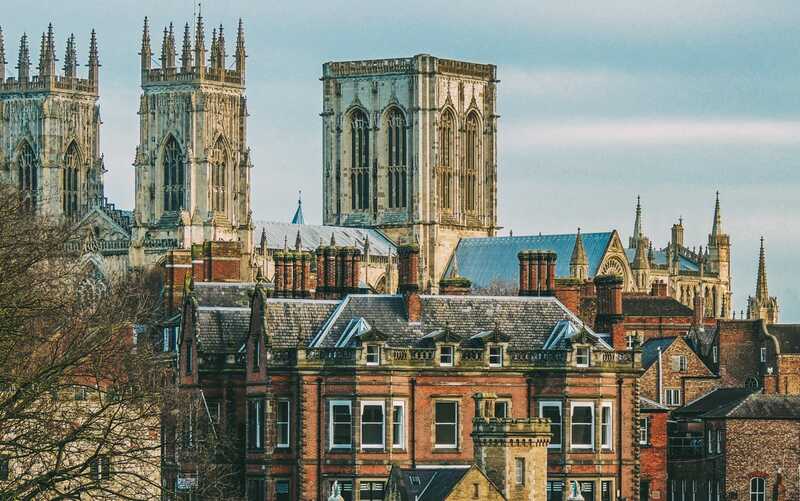 With plenty of festive goings-on, the city is such a great place to explore for a day trip (or a little longer). Bath’s Christmas markets in 2019 open around the 23rd November and close a little earlier than other cities (usually) around the 10th December. There are a whopping 200, or so, wooden cabins that have everything from handmade goodies roasted chestnuts and piping-hot mulled wine. 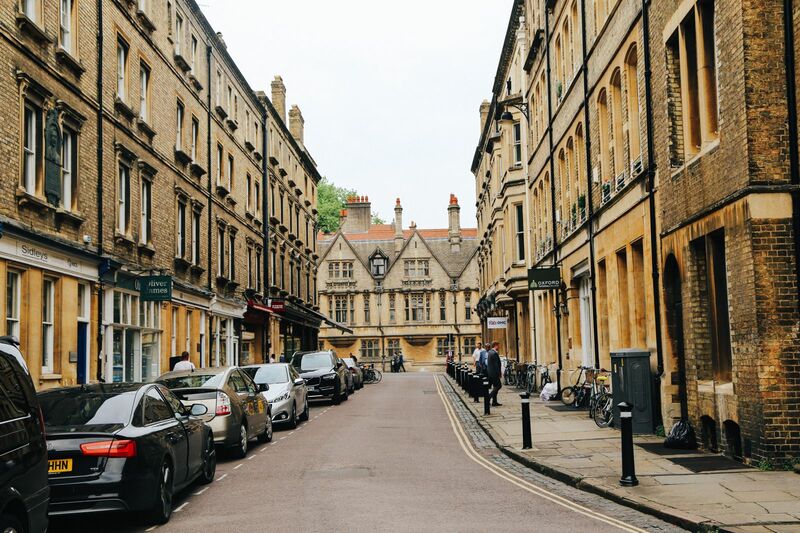 Most of the stalls centre around the Roman Baths, the Pump Room and the Abbey, with Bath Street having its fair share to explore. Perched right in the city centre, next to St George’s Plateau outside St George’s Hall on Lime Street. 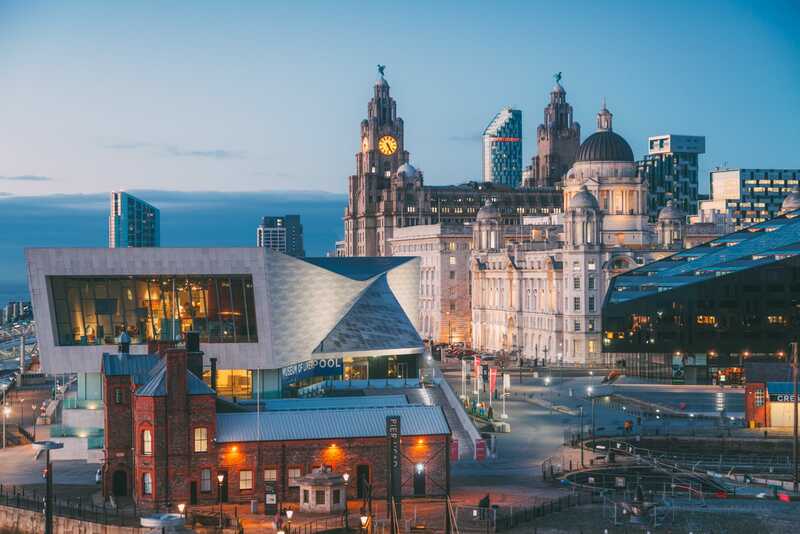 Liverpool’s Christmas market in 2019 is one lovely place to explore. 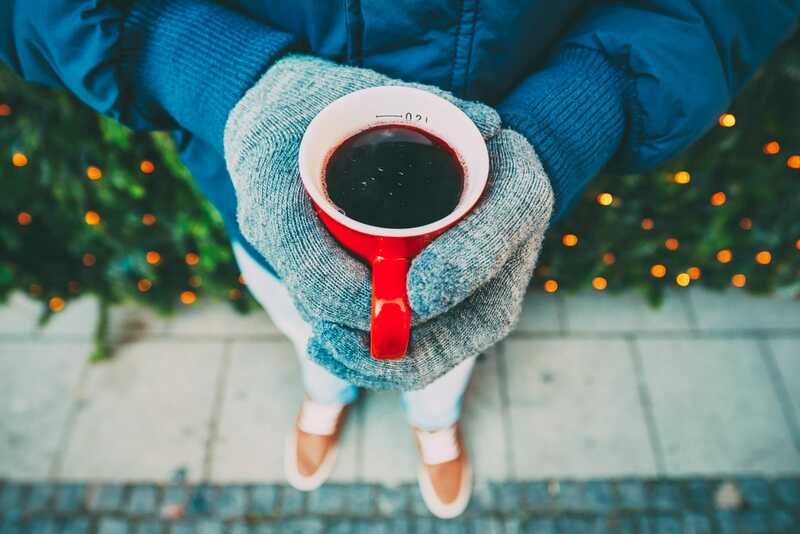 Make sure to visit the windmill bar for a hot toddy or mulled wine. 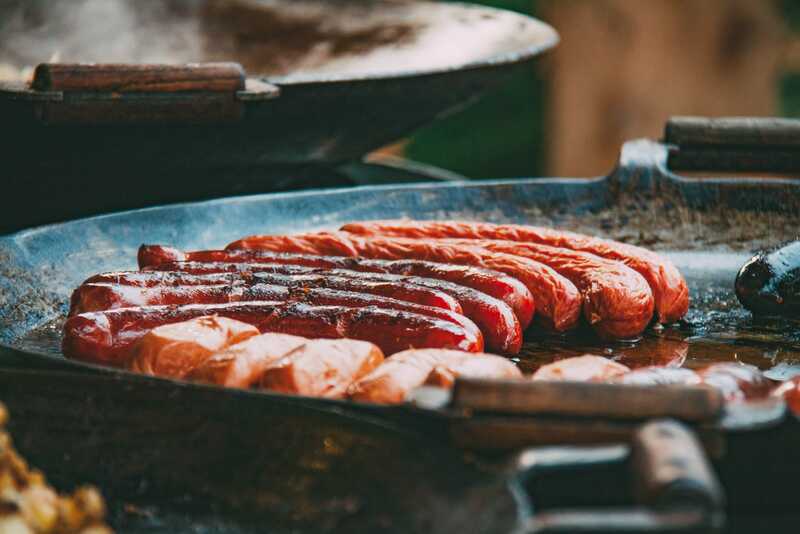 Oh, don’t forget to gorge on all the German bratwursts too. The market opens around the 17th November and closes just before Christmas Day. 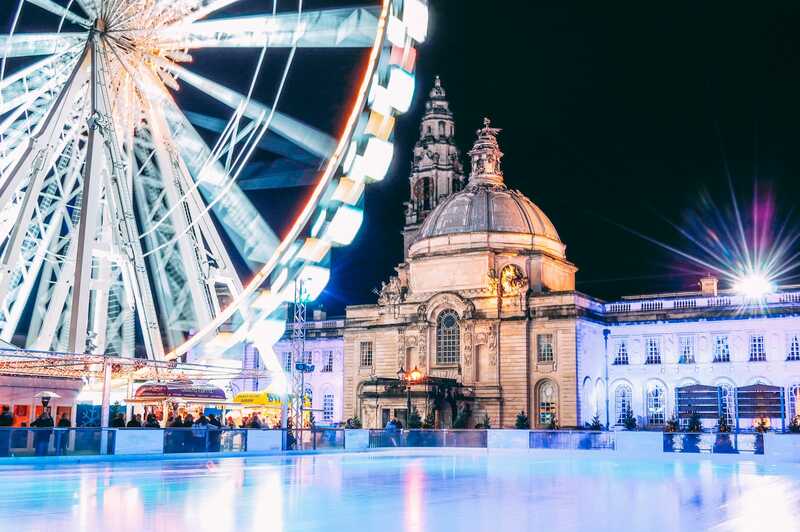 With its very own Helter Skelter, ice bar and plenty of Victorian-style wooden cabins, Nottingham comes alive with lashings of festive cheer during the winter months. Based in Market Square and Long Row. 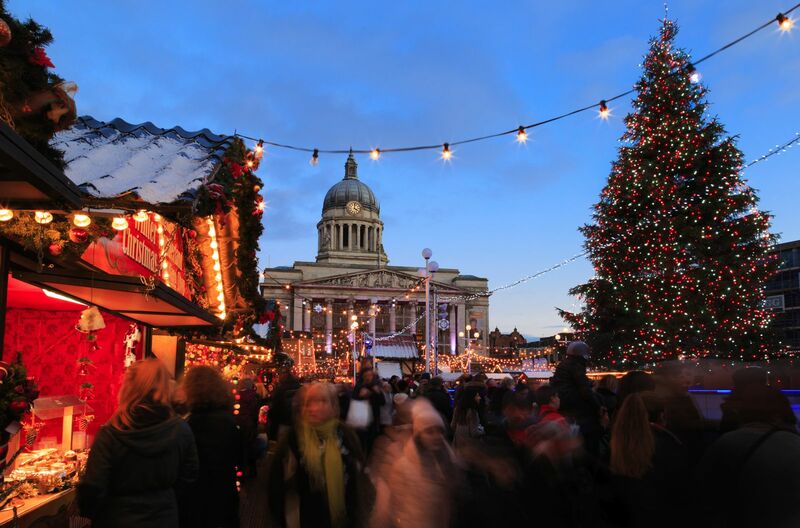 Nottingham’s two Christmas Markets in 2019 is perfect for a day out. Make sure to head onto the ice-rink too, it’s the largest in the region. 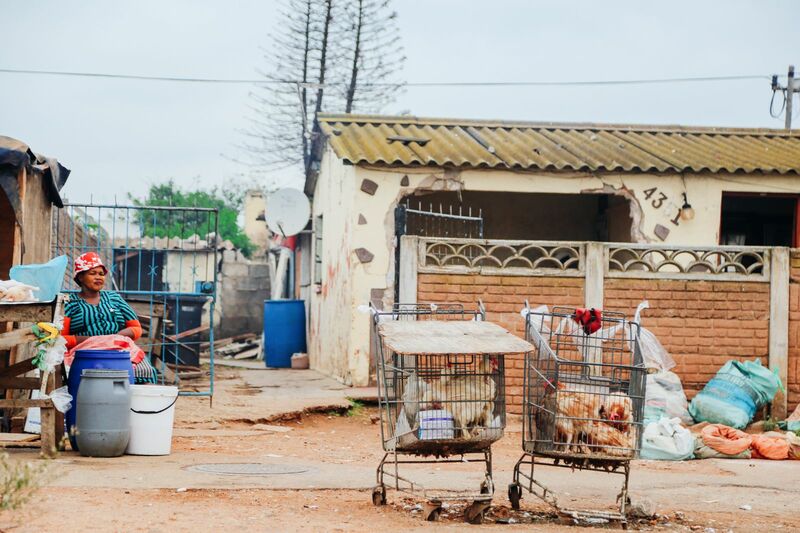 The markets usually open from the 17th November until the 31st of December. 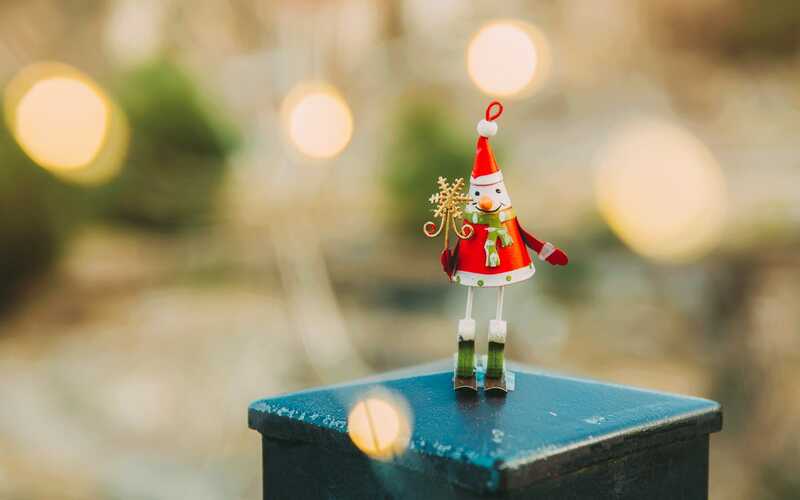 The city centre of Plymouth is transformed into a Christmas wonderland of stalls, entertainment and plenty of fun from the 30th November until the 21st December. 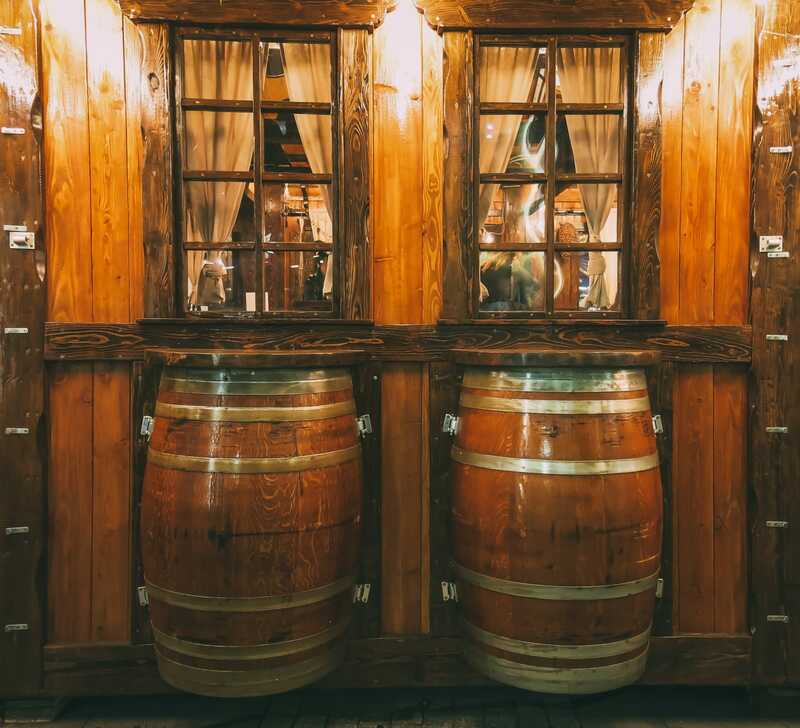 Make sure to visit the Bavarian Bar with toasty heated seats and explore over 50 of the log cabins just off Royal Parade. Make sure to stop off at the Loco About Cocoa and Hunters Brewery cabin for a cheeky tipple. 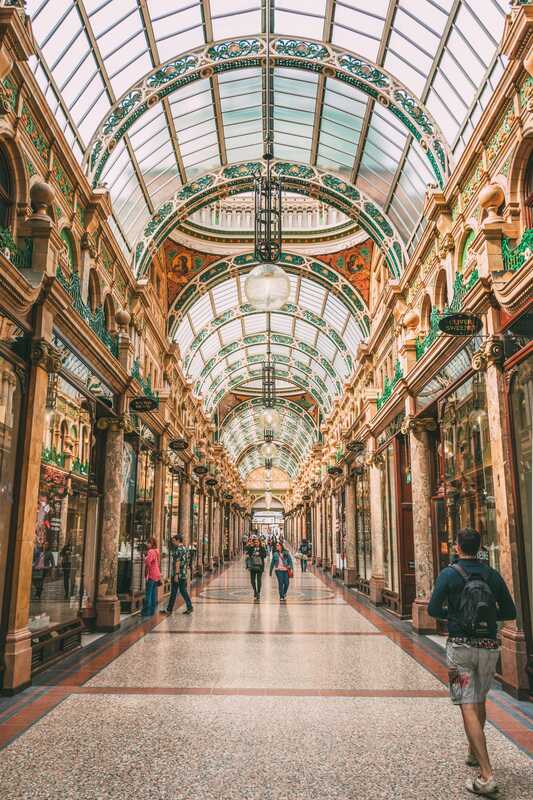 Christkindelmarkt is Leeds is possibly one of England’s most established Christmas Markets in 2019. It has oodles of log cabins, pop-up bars and entertainment that’s great to experience when in the city centre. Make sure to head across to Millennium Square and take a ride of the Christmas carousel. Leeds Christkindelmarkt opens around the 10th of November. St Nicholas Fair in York is one fun place to visit during Christmas in this historic city. Open approximately from the 16th of November until the 22nd of December, it’s a great place to indulge in lots of Christmas cheer, you’ll also be able to gorge on the best local grub and Yorkshire’s best beers. The fair ususally takes place between Parliament Street, St Sampson’s Square and The Judge’s Lodging. Don’t forget to visit the Made in Yorkshire Yuletide Village too. Chester’s Christmas market in 201 commences around the 16th November, until approximately the 20th of December. 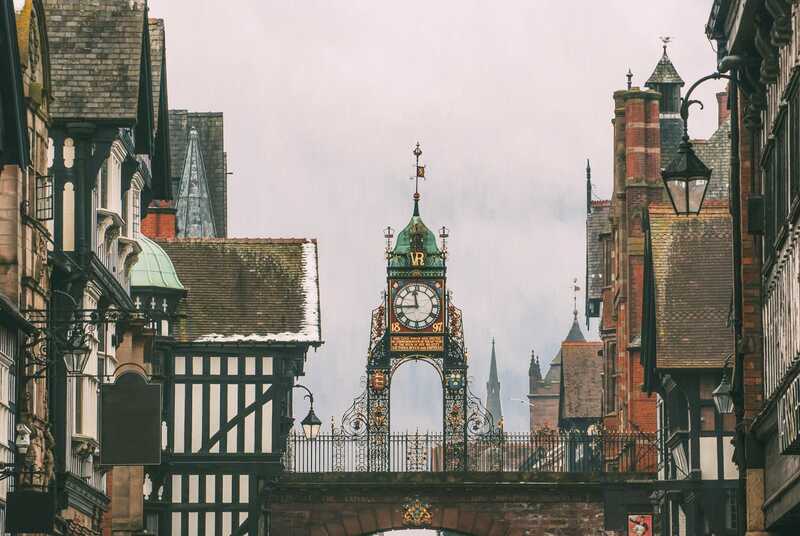 With well over 70 log cabin stalls and bars and a festive parade on the 16th November, Chester really is a great place to experience an epic Chrismas Market in 2019 that I’m sure you’ll love. The market usually takes place in and around Town Hall Square. 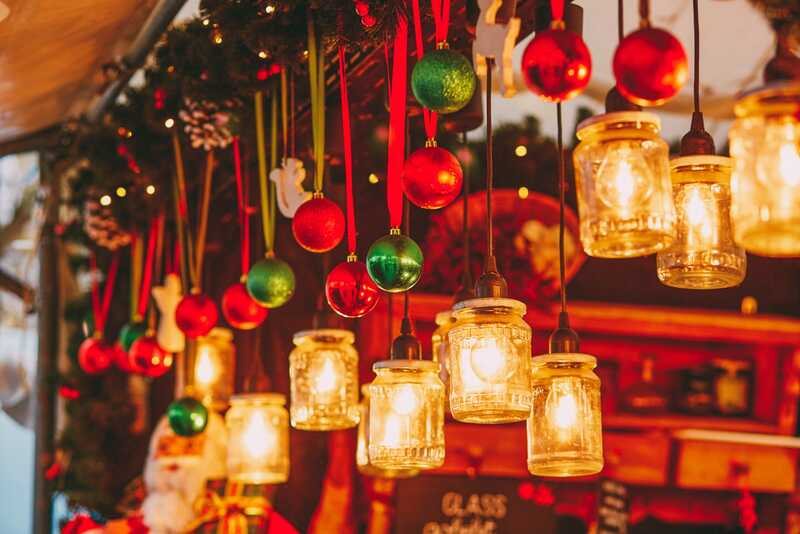 For an epic (and distinctly Welsh) Christmas Market in 2019, head over to Cardiff which starts its festivities from the 9th November until the 23rd December. The market takes place in a few spots around Cardiff City Centre (in St John Street, Working Street, Hills Street, Trinity Street and the Hayes) which is all easy to explore. Make sure to visit the cabins of Hollybush Crafts, Wild Sage & Co and gorge on all the cheese at Snowdonia Cheese Company’s cabin! Don’t forget, for a Welsh brew, head over to Crafty Devil Brewing Cabin. Oxford Christmas market in 2019 is only open for a short period from around the 7th until the 17th December, but don’t let that put you off. 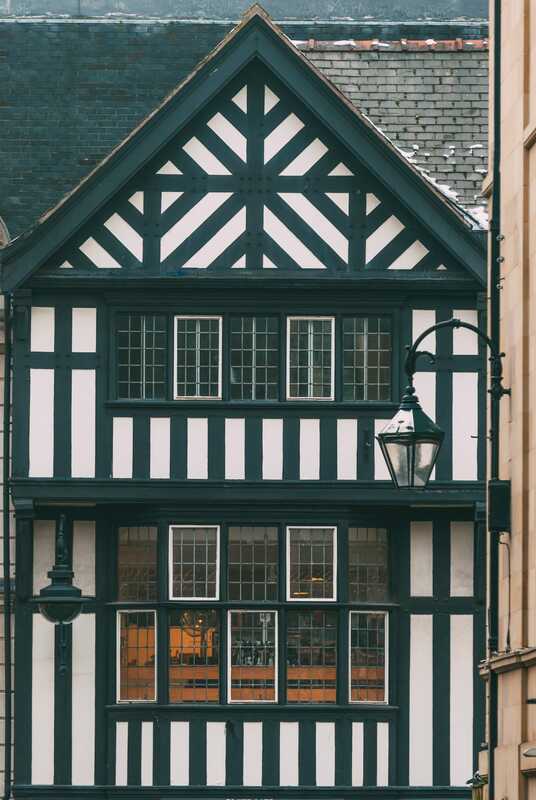 Head to the city centre (Broad Street) and explore the log cabins of The Charcuterie Board, Demijohn and Winter Warmers that serve one of the best Glühweins around. 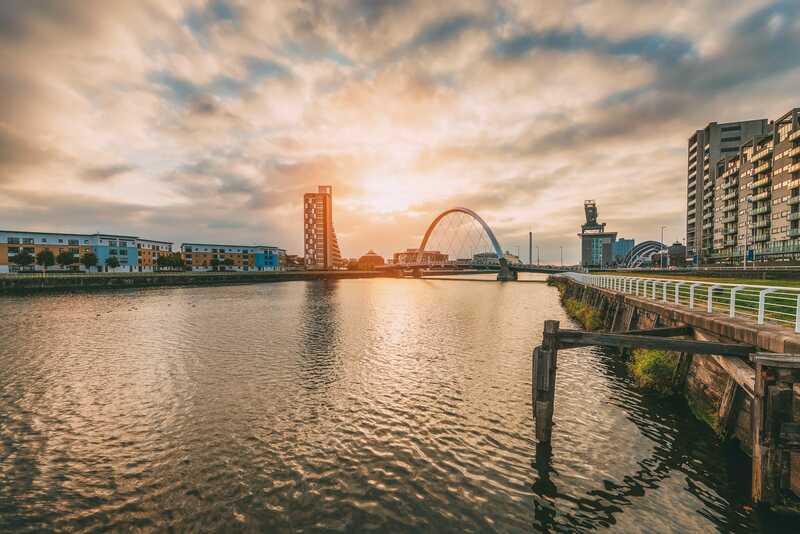 Glasgow is Scotland’s largest city, which has a few Christmas Markets in 2019 for us to enjoy. Usually perched on George Square and St Enoch Square, there a great place to explore. George Square Christmas market in 2019 usually opens around the 25th of November until 29th of December. On the other hand, St Enoch Christmas Market in 2019 opens from around the 9th of November until the 22nd of December. Don’t forget to partake in the Santa Dash too! It’s a 5k run through the city (dressed as Santa) that’s all for charity. With thousands of people running, you’ll need to apply here before choosing to dash over. 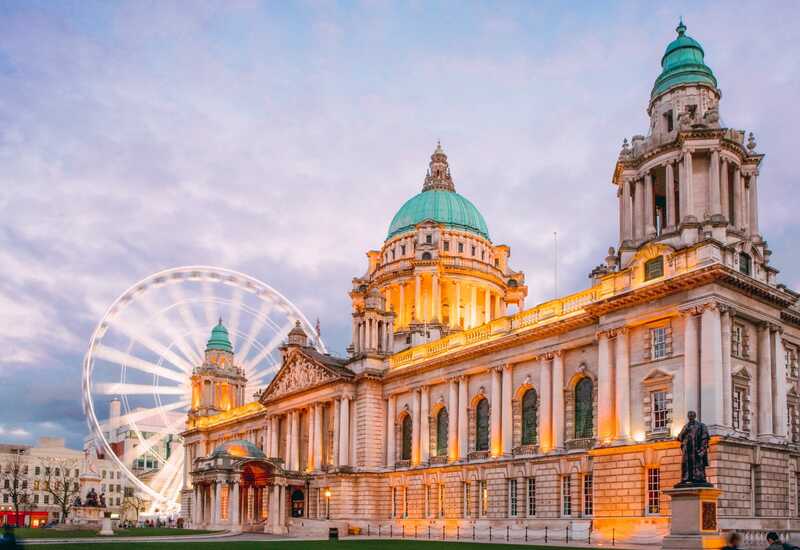 Belfast’s Christmas Market in 2019 opens around the 18th November until the 23rd December and is nestled within Belfast City Hall grounds and Donegall Square North. 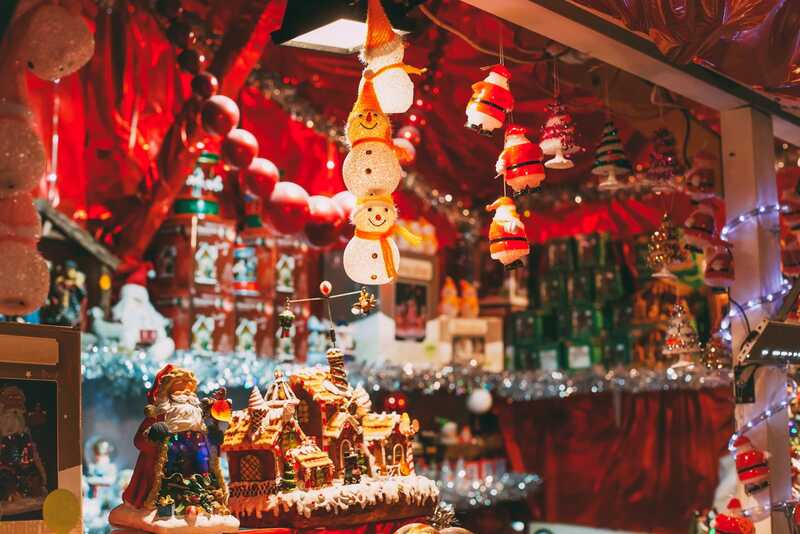 With over 20 wooden chalets, it’s an intimate Christmas Market to enjoy when visiting the city centre.